Significantly lower your cost of entry and get support every step of the way by accessing the latest Media Composer | Software and Media Composer | Symphony Option on a recurring monthly or annual (most cost-effective) basis. Or buy and own Media Composer outright (perpetual license) and get one year of standard Avid Support and software upgrades, with additional upgrades available thereafter by renewing your support plan anually. For large-scale media enterprise, post-production houses, and educational institutions, Media Composer now offers floating licensing, enabling you to purchase a “pack” of shared licenses to deploy across your entire facility using a single system ID. This enables multiple editors to use Media Composer on any number of workstations when licenses are available (not actively in use). Media Composer comes with a new application manager that keeps you up to date with your software. See what Avid software, AMA plug-ins, and related third-party applications you have installed on your system. Get notified when new updates, upgrades, and renewals are available. Activate and download new software, updates, and upgrades from the interface. And if you’re interested in a new product or upgrade, you can even see if a software trial is available to try it out first. It will even alert you about special offers, upcoming webinars, and events. Forget wasting time mixing down audio levels by trial and error. With the new Master Audio Fader, you can insert RTAS plug-ins to tweak tones and optimize the overall program loudness, making broadcast regulation adherence quick and easy. You can also now make audio adjustments to any clip directly in the timeline—independently of any track-based automation—with the Clip Gain control. Video Satellite is now included with Media Composer, enabling audio editors and mixers to play Avid HD and SD video sequences directly in sync with their Pro Tools session, while maintaining full system power. 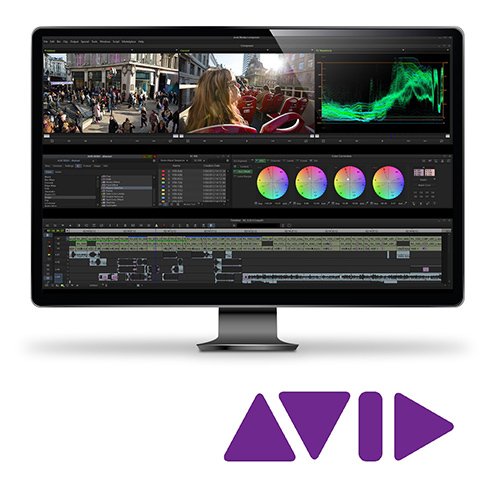 In addition, Pro Tools | Software now includes the Avid Video Engine, enabling Pro Tools sound editors and mixers to play HD video of the latest Media Composer cuts directly in the Pro Tools timeline. Edit with the exact tools you need by simply adding options for the workflows you want. 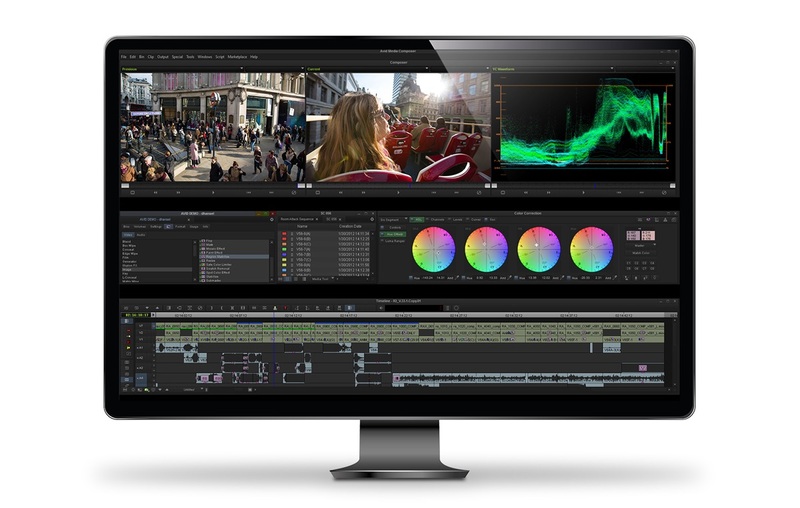 Add advanced and secondary color correction tools, mastering tools, and the Boris Continuum Complete Lite effects pack with the Media Composer | Symphony Option for online editing. Integrate Media Composer into iNEWS and ENPS workflows with the Media Composer | NewsCutter Option for news editing. Find the right clips or the best takes fast with the Media Composer | PhraseFind Option or Media Composer | ScriptSync Option, which both offer powerful dialog search capabilities to locate relevant clips quickly. And capture, monitor, and output video with a hardware-accelerated Media Composer | Nitris DX or Media Composer | Mojo DX video I/O interface. Correct color and master faster by adding advanced and secondary color correction tools, plus mastering tools, to your editing workflow with this option for Media Composer | Software. What's more, it comes with Boris Continuum Complete Lite, enabling you to create stunning 2D and 3D graphics and effects to get the look you want. Integrate Media Composer directly with iNEWS and/or ENPS systems to streamline your news editing to on-air workflow with this option for Media Composer | Software. This option adds the functionality of the NRCS Tool found in NewsCutter, which is now discontinued, though many of its features and settings are now a part of Media Composer. Find the right clips fast with this powerful dialog search option for Media Composer | Software. PhraseFind indexes all clip dialog in your project, enabling you to search for content quickly using a keyword or phrase—a huge timesaver for reality TV shows and other dialog-driven material. Find the best takes fast with this powerful dialog search and analysis option for Media Composer | Software. Ideal for scripted TV shows, movies, and transcribed documentaries, ScriptSync analyzes all clip dialog in your project and then syncs all relevant clips to the script, so you can find and compare all associated takes and make decisions quickly. Whether you want to capture, monitor, and output video; record voiceovers, overdubs, or other audio; or speed up your editing with hands-on precision, you have a wide range of powerful and reliable Avid and third-party hardware to fit your needs and budget—for Mac and PC. 2 NVIDIA cards are recommended; full-screen playback requires a minimum of 128 MB of graphics memory. For information regarding the graphics card supported with your specific configuration, please refer to the Avid-qualified Windows-based computer list or Avid-qualified Mac-based computer list. *Additional DNxHD and AVC-Intra chips for Nitris DX are available for separate purchase.